Amneal Pharmaceuticals is recalling 13 lots of Lorazepam Oral Concentrate, which is used for the management of anxiety disorders for the short-term relief of the symptoms of anxiety or anxiety associated with depressive symptoms. The product is packaged with a dosing dropper which, in a few instances, is printed with the dose markings in reverse number order, has no dose markings or has dose markings that are shifted. No adverse events related to these dropper defects have been reported to date. 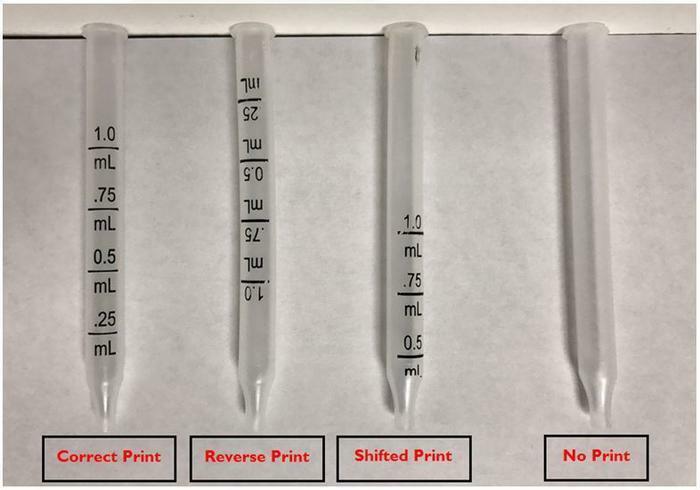 There is a significant likelihood that the dropper marking errors will result in dispensing either less than, or more than, the prescribed dose. There could be a serious health consequence if more than the prescribed dose is dispensed. Potential serious adverse events include drowsiness causing trauma; increased anxiety; increased accidental injury to self or others (e.g., hip fracture, motor vehicle accident), which in the most serious circumstances could result in permanent decreased function or death. There is no safety issue with the bottled product itself. The recalled product can be identified by the lot number printed on the bottom-right side of the blue and white label, with the Amneal logo, on the amber bottle supplied with the dropper, in a blue and white carton, with the Amneal logo. It was distributed nationwide to wholesalers. Consumers should discontinue use of any defective dropper and return it to the place of purchase for a replacement. If consumers are unsure whether their droppers are defective they should confirm with their dispensing pharmacy. Consumers with questions regarding this recall may contact Amneal Pharmaceuticals at 631-952-0214 x338, Monday through Friday from 9AM – 5PM (ET) or by email at amnealreg@amneal.com.